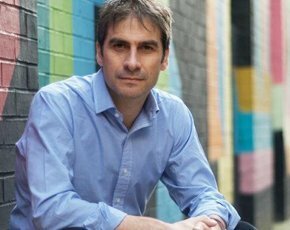 CEO of Tech City UK, Gerard Grech, believes London isn’t the only place to start up a digital business in the UK. “London has been booming for the last few years in technology,” he says. Over a quarter of the job growth in London now comes from the technology and digital sector, while the number of technology companies in the city soared by 76%, between 2009 and 2012, from 48,000 to 90,000. But Grech says it is not just about London anymore. While some argue that startups cannot exist outside the capital, he believes the development of technology in the UK is dependent on connecting clusters of activity across the country. Tech City UK was set up as a government body in 2010, and it still acts as a mediator to provide responsive feedback between government and the tech community. “We’re adding that national voice to the conversation with government and I think that’s very important,” says Grech. While Tech City started out to support East London’s tech community around Old Street, it has now changed its brand to Tech City UK to represent the country’s efforts in digital as a whole. Grech points to companies, such as AO.com based in Bolton, and Just Eat which has recently opened a new technology office in Bristol, both of which have just listed on the London Stock Exchange. He says each region and each city in the UK has something different to offer. “They’re clearly excelling at digital capabilities, but I see these as complimentary skills," he says. Other areas outside of the capital, which are catching Grech’s attention, include Birmingham and Newcastle. He also points to Cambridge as a cluster with a long standing history in technology, which has world class leading technology companies who employ thousands of people. “Clearly, London has a lot going for it in terms of connectivity, international skills, but it’s important that London, like any other city, is leveraging each other and other parts of the country, so that together we’re a lot stronger and we’re truly on our way to becoming a global pioneer of technology,” he says. ANALYSIS: How will tech startup clusters survive outside London? “It’s very important that we connect all these complimentary skills and relative areas of expertise,” he says. He also believes London has a lot to gain from knowing what else is going on around the country. Using the Manchester company Bright Future as an example, which specializes in onshore software development at offshore prices, Grech says it is able to offer this at a cheaper rate by skilling up school leavers and university graduates and connecting them with highly skilled experts. Grech says that this type of onshore software development would be a useful service to London-based companies who are thinking about where they should be developing their technology. “Should they be looking at other parts of Europe, or India, China? But there are offerings here in the UK which are very competitive,” he says. Grech understands that the UK is facing a shortage of talent at the moment, and he believes it is important not to restrict bringing in talented people from outside of the UK. He says that when a company goes live, from day one it is competing on a global stage and must be able to attract the best talent its needs to grow at a competitive speed. Due to its relationship with the government, Tech City UK worked with the Home Office to launch an Exceptional Talent Visa in March this year. Applicants for this particular visa will be referred to Tech City UK, who will then choose whether or not to endorse the highly skilled workers. The Home Office has said that, through this endorsement, the top innovators and professionals will be able to come to the UK without the need for a sponsoring employer. But a potential Scottish independence might bring unexpected complications. “The freedom of movement of goods, services and labour is extremely important to make sure businesses are competitive, so anything restricting that will have an impact on your business,” says Grech. While there is a talent shortage, Grech does believe the UK still has the skills to take on new trends like the Internet of Things (IoT), by combining complimentary skills, such as hardware in Cambridge with software and data specialists elsewhere in the UK. Tech City UK has recently started a joint venture with the Technology Strategy Board and Cambridge Wireless, which is backed by firms including EE, John Lewis, Unilever, Seedcamp and Red Gate. The £1m Launchpad Competition is designed to support small businesses producing innovations in IoT. “You have to understand very clearly that it takes a lot of expertise to come together to make the most of it as an opportunity,” says Grech.